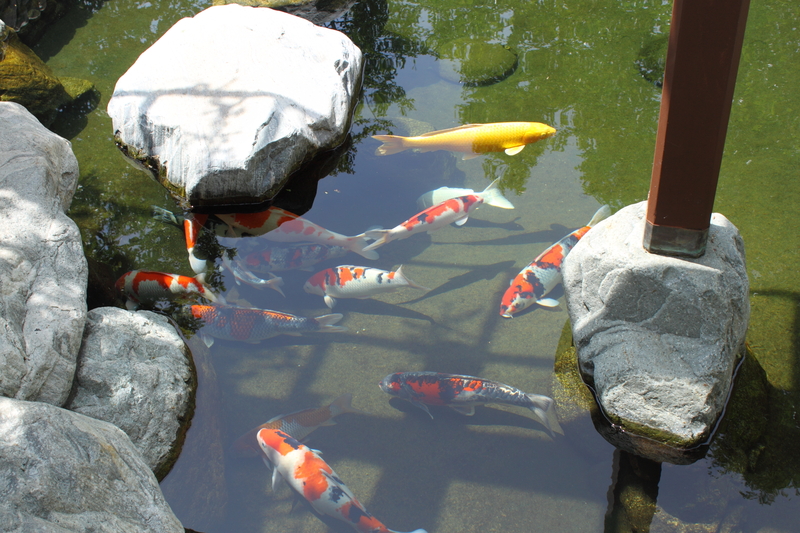 “A desolate prison camp in the high desert seems an unlikely place for a Japanese garden contest, let alone an outstanding collection of Japanese gardens. World War II would seem an unlikely time for Japanese Americans to assert their Japanese heritage. 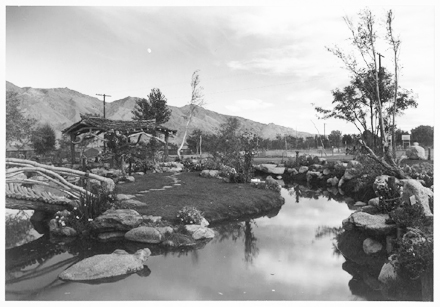 Yet the Japanese Americans incarcerated at the Manzanar Relocation Center, now Manzanar National Historic Site, left a legacy of beauty, resistance, and resilience in Japanese gardens. The incarceration of almost 120,000 Japanese-Americans — most American citizens — by the US government during World War II is one of the most shameful stories in American history. The “Relocation” removed persons of Japanese ancestry from their homes, schools, and businesses on the West Coast and placed mostly behind barbed wire. Manzanar opened in March 1942 — one of ten camps — to incarcerate more than 10,000 people. Although this episode managed to stay out of US history books for decades, it has come to light through the efforts of the Japanese-American community, civil rights advocates, historians and archaeologists. 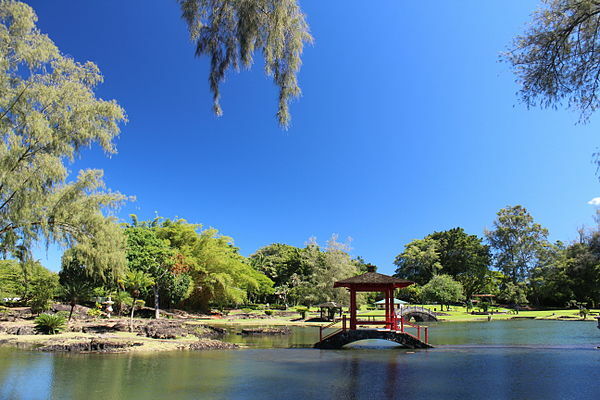 On the Purpose & Role of Japanese Gardens in American Internment Camps by Seiko Goto, Ph.D.
“Multiple Japanese gardens were built in all ten internment camps. Japanese gardens in Manzanar Relocation Center have been called “Momoyama-style gardens,” and summarized as an “important means for the expression of Japanese American cultural values within the regimented organization of the camp.” The question arises: why would internees facing such hardship due to their nationality decide to build gardens to express their culture? 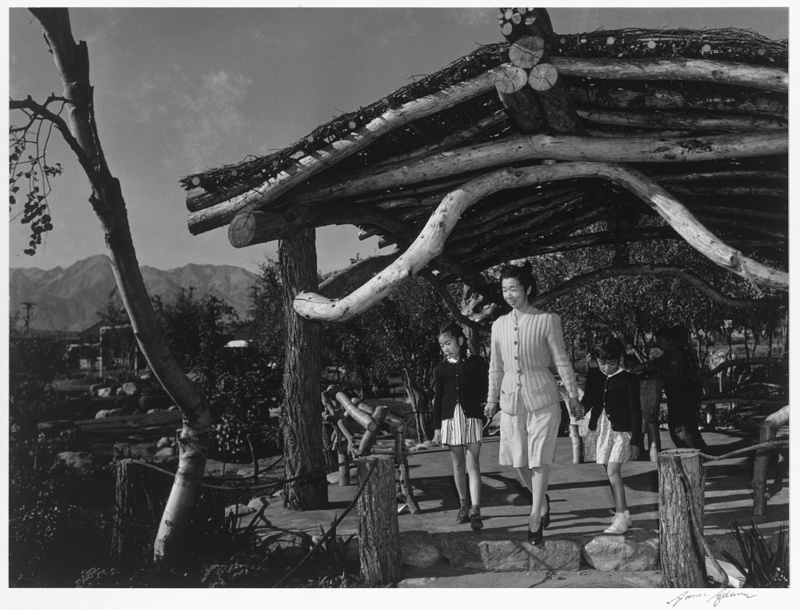 It is thus important to analyze the purpose and role of Japanese gardens in the internment camp to assess their value…. Read the full version of these articles in the 2014-2015 NAJGA Journal. 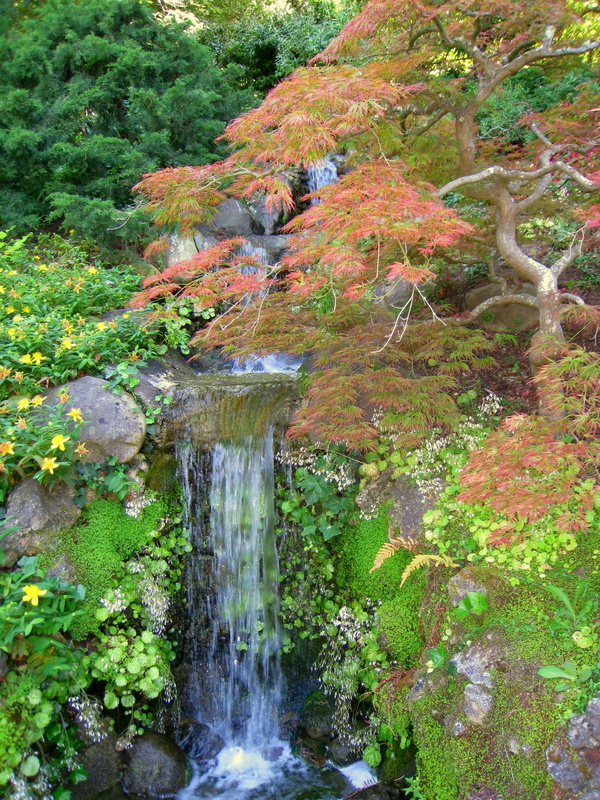 The Journal is free to members of the North American Japanese Garden Association. To order additional copies or to order as a non-member, click HERE. 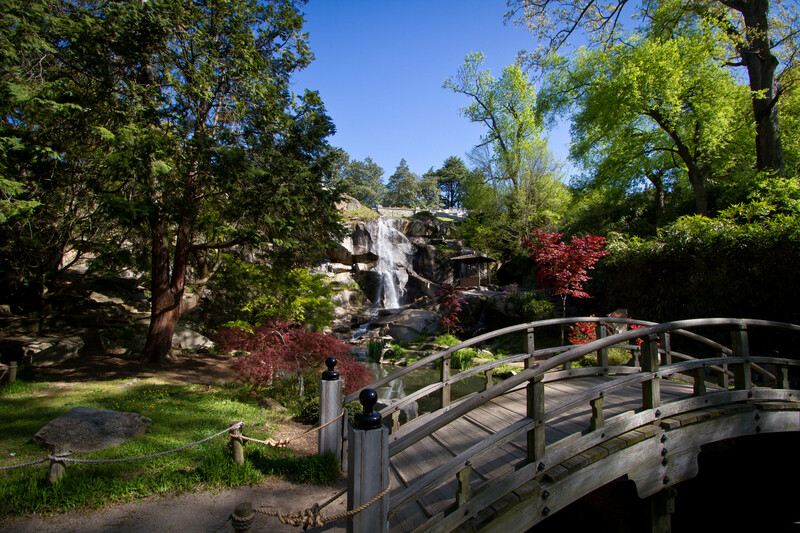 American garden lovers were given a first-hand look at the art of Japanese gardening at the 1904 World’s Fair in St. Louis, Missouri, where Japan exhibited an extensive garden in the native style. Two years later, a historically important shipment of a hundred cherries, dispatched by the Yokohama Nursery Company, reached the United States. 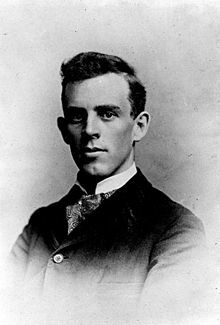 The order was made by David Fairchild (1869-1954), an administrator with the US Department of Agriculture in Washington D.C. The imported trees were successfully planted on the spacious grounds of his private estate. Encouraged by this undertaking, Fairchild and his wife, Marian, decided to organize a planting of cherries on Arbor Day. Again, cherries were ordered from the Yokohama Nursery Company. The trees were shipped to Seattle on the West Coast and then traveled by rail across the United States without any problem. 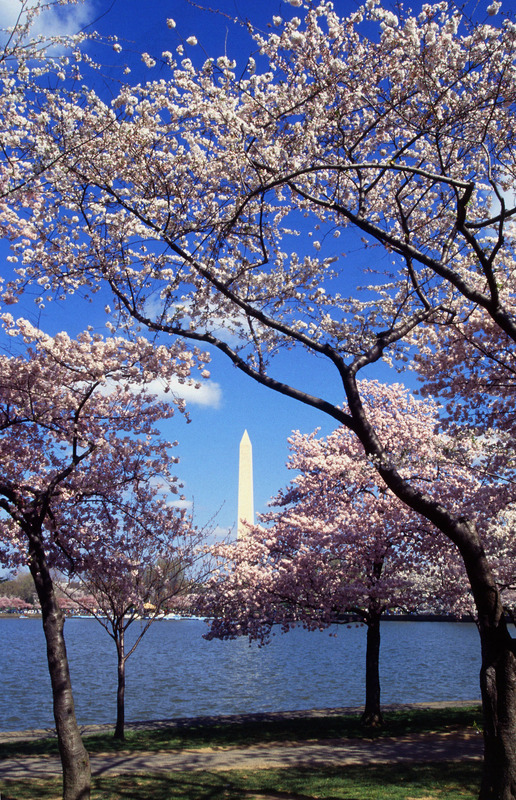 On Arbor Day in March 1908, each public school in Washington D.C. received its Japanese cherry. Trees were planted in the school yards, which attracted the attention of Mrs. William Taft, wife of the U.S. president. The First Lady had visited Japan with her husband, who had successfully concluded an important treaty with Japan in 1905. She developed an appreciation for the beauty of flowering cherries and began to include the idea for a mass planting of Japanese cherries in her plans for developing Potomac Park. Mrs. Taft was supported in this endeavor by Fairchild and Eliza Skidmore, a journalist who wrote about Japan. In April 1909, ninety trees of “Fugenzo” were purchased from an American nursery. Then, in the summer of that year, it became clear that the city of Tokyo wanted to donate two thousand cherries for the Potomac Park. It is striking how eagerly Japanese officials reacted. In November of the same year, Tokyo shipped two thousand large trees of ten varieties to Washington. That a gift of the country’s flower with such a profound emotional meaning could be made to a great Western power was without doubt enthusiastically welcomed by any Japanese cooperating in the donation. In the meantime, in the United States, the increasing import of plant material had aroused a growing concern, and the US Department of Agriculture began inspecting imported plants for insect pests and diseases. The shipment from Tokyo proved to be severely infested. With great diplomatic sensitivity, the Japanese side was informed that no other measures could be taken than to burn the trees. It was a matter of regret for both parties. 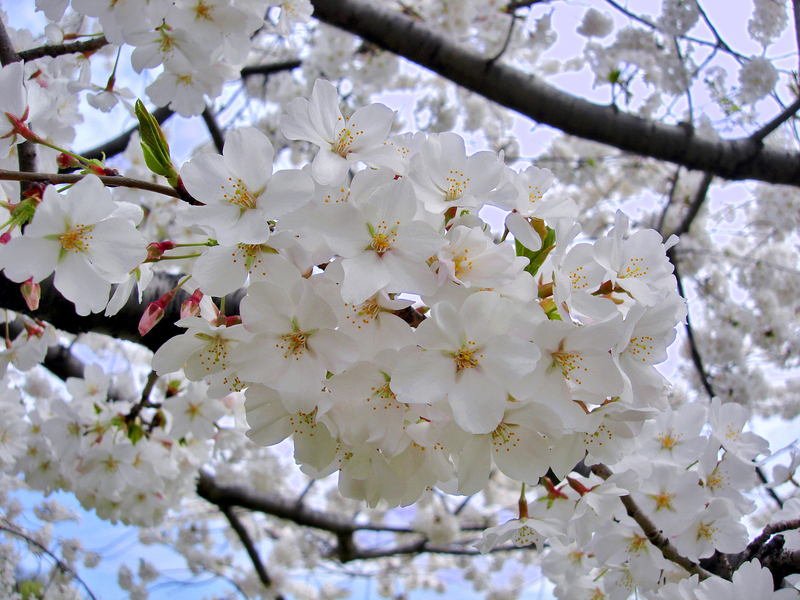 In the United States, a general appreciation of Japanese flowering cherries developed from a friendship between the countries that was profoundly felt in the early twentieth century. Of all the countries in the world, only the United States had a Potomac Park as a show garden for cherries on a scale that resembled the best of the cherry picnic places in Japan. Every spring, the Park revived, and continues to revive a nationwide awareness of the cherries. 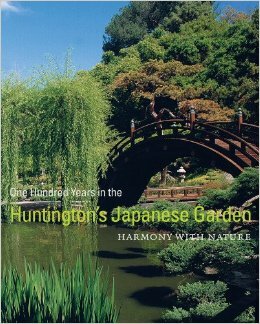 Read the rest of the book here: “Japanese Flowering Cherries,” Kuitert, W., Peterse, A.H. , 1999, Timber Press, Inc.
Japanese gardens outside of Japan number more than 450, of which approximately 300 are in North America. Of that substantial number, fewer than 20 have reached the centennial mark. In this issue, six gardens across the continental United States and out into the Pacific were asked to share their centennial stories. 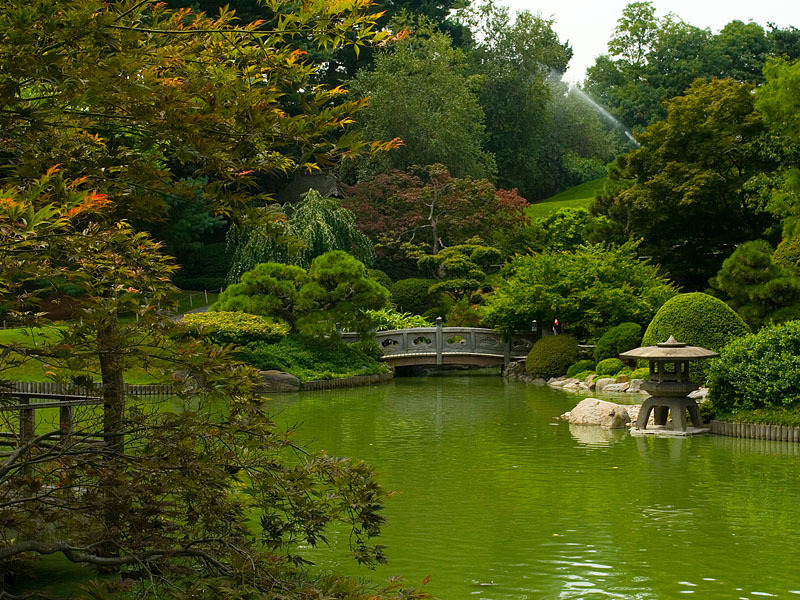 The 2014-2015 NAJGA Journal is free to members of the North American Japanese Garden Association. To order additional copies or to order as a non-member, click HERE.